Frankenstein, Or The Modern Prometheus, an exceptional piece of moody teenage fiction that the young Mary Shelley (née Godwin) first published anonymously in 1818, gave the world a new myth of creation gone wrong: the story of Victor Frankenstein, a scientist consumed by obsessions, and the nameless monster he brings to life and rejects. Adaptations of Frankenstein have been around about as long as the book itself (the earliest was a successful stage play in 1823), and have influenced its perception to an even greater extent than theatrical and film versions of Dracula and the Sherlock Holmes stories have their source material. But the book has at least acquired the reputation of a classic, which means that generations have continued to read Frankenstein either as a class requirement (usually so they can be tricked into studying the Romantic poets who influenced the novel) or of their own free will. Thus, the common complaints: that it is longwinded, illogical, and that the character of Victor Frankenstein is passive and has a habit of fainting or running away whenever something exciting happens. Confusingly, it is structured around both secrets and the need to communicate, and buries within itself one of literature’s most perceptive metaphors for a writer’s art and misery: the malformed creation that disappoints its maker after years of hard work and in turn spends years destroying his life as it torments him into making another. But the monster is also depression, which Mary Shelley knew well, and a projection of Victor Frankenstein’s self-loathing. All of these things can be found and interpreted in Frankenstein, which doesn’t mean that they’re what it’s about—a distinction that often gets lost in the criticism. But how they got there has become a legend in and of itself, subject to considerable speculation, research, and creative license. 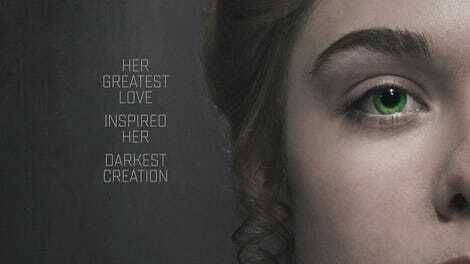 The biographical drama Mary Shelley, which stars Elle Fanning as the author, even structures the genesis of Frankenstein in the origin-story style that Hollywood studios thought would be popular a few years ago—which is to say that Mary Wollstonecraft Godwin doesn’t become “Mary Shelley” until the epilogic end titles, thanks to some creative chronology that moves her marriage to the lyric poet Percy Bysshe Shelley (Douglas Booth) until after the publication of her novel, when it really happened more than a year prior. In telling the story behind the story behind the story, Emma Jensen’s script establishes vague fairy-tale origins for the teenage writer. Squirreling away books and scribbling stories in secret, Mary is bossed around by her stepmother (Joanne Froggatt) until her sympathetic father, the anarchist philosopher William Godwin (Stephen Dillane), sends her away from London to Scotland. There may not be a fairy godmother involved, but there is a deceptive Prince Charming in the form of Percy Bysshe Shelley. He is introduced through gossip whispered in a ballroom scene, which should give a prospective viewer a general sense of the subtlety that distinguishes Mary Shelley: “He’s a radical poet who thinks poetry should reform society.” He is one of the great English versifiers of the Romantic era, a follower of Godwin’s, and a member of the landed gentry—but also inconveniently married, broke, and, in the film’s characterization, kind of a doofus. But while the idea of reading naïve and childlike fantasies into the lives of the death-obsessed Romantics is a change of pace from the usual webs of psychosexual despair, its potential continually slips away under the conventionally anonymous direction of Haifaa al-Mansour (Wadjda). Mary Shelley’s major problem, supported by an assortment of minor problems, is the common one of biopics that try to write an artist’s private life into a dopey three-act structure with no tolerance for contradiction, the thing that makes art and people interesting. Its de-complicated characters and conflicts don’t tell us anything about what it meant to live in a time or to make something—only the vague order in which some important things happened, the result like rushed homework. One lifeless montage set to cloying music depicts Mary losing her virginity to Percy at her mother’s grave; her father threatening to disown her because of her scandalous relationship with the poet; and her decision to leave London with Percy and her stepsister, Claire Clairmont (Bel Powley). But perhaps this is al-Mansour’s way of paying tribute to the confusing narrative skips of Frankenstein. Eventually, in the unseasonably gloomy summer of 1816, Mary, Percy, and Claire make their way to the rented Swiss villa of the notorious Lord Byron (Tom Sturridge), whose louche, rock-star-ish presence and exceptional taste in dressing gowns gives the film a jolt of energy. It’s here that the story of Frankenstein first comes to the budding writer in a dream. (Robert Louis Stevenson claimed the same origin for The Strange Case Of Dr. Jekyll And Mr. Hyde and Bram Stoker for Dracula; Stoker in particular blamed his most famous novel on eating too much crab meat before bed.) In a gross oversimplification, Mary Shelley has her writing the story more or less alone, without the collaborative input of Percy. This turns the back end of the film into a struggle for recognition, in which Mary finds a kinship with Lord Byron’s personal physician, Dr. John Polidori (Ben Hardy), who wrote the first modern vampire story, “The Vampyre,” during that same stay at the villa, only to see it published under his famous patient’s name. The notion that writing is a purely solitary process is mostly myth; the Romantics’ individualism stoked it, but the geneses of both “The Vampyre,” which was based on an unfinished story by Byron, and Frankenstein, which Percy Shelley helped develop and later polished, tell us otherwise. (Really, a screenwriter should know better.) Then again, there are moments in Mary Shelley that suggest a unfamiliarity with the subject at hand, like a character referring to Victor Frankenstein as “Dr. Frankenstein,” à la the iconic Universal and Hammer Frankenstein movies, in a monologue, even though Shelley’s Frankenstein isn’t a doctor of anything—a small but crucial difference between her work and its derivatives. With a thin contemporary gloss that overlooks both the politics of the time and their context, Mary Shelley reads Frankenstein as an expression of its writer’s frustration at the men in her life, with the monster as a purely sympathetic creature. 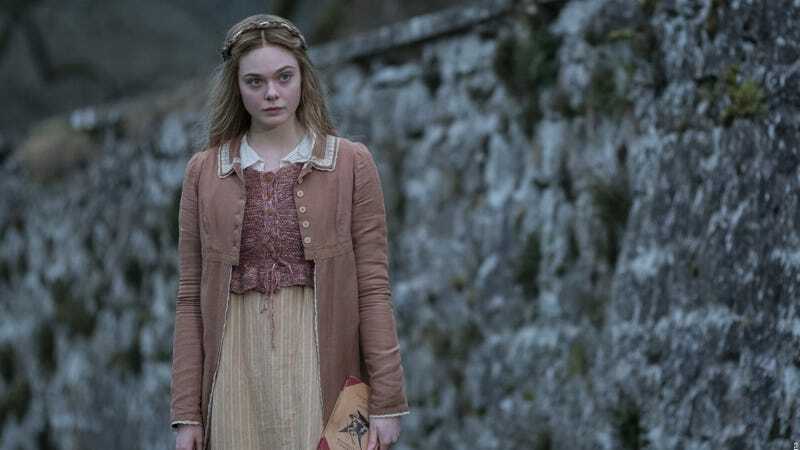 But art is actually as complicated as the lives that inspire it, which is probably why Mary Shelley builds its specious and underwhelming climax around the question of ownership. Perhaps that’s the most contemporary thing about it: intellectual property passed off as modern myth.